WASHINGTON—Saying the measure would provide a substantial boon to police departments nationwide, members of the House Republican caucus introduced a bill Tuesday containing open-ended language that would criminalize whatever it is black people are up to right now. 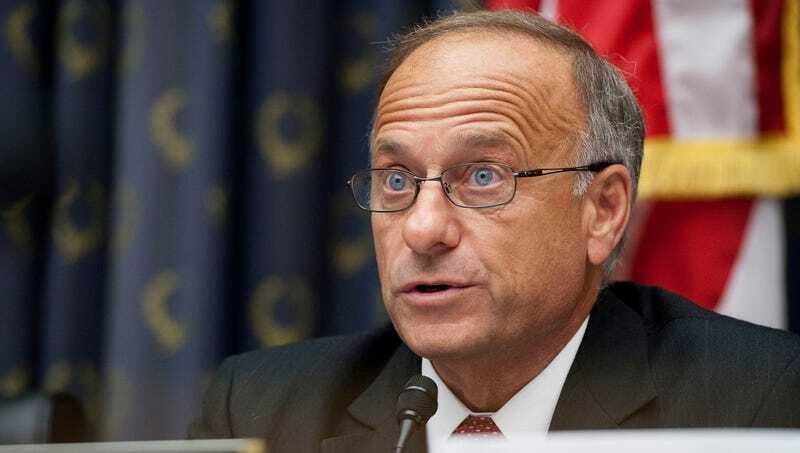 “This is a long-overdue piece of legislation that will help defend our country against the scourge of black people being in places and doing things,” said Rep. Steve King (R-IA) of H.R. 8164, which would penalize black Americans with a minimum of five years in prison and fines of up to $750,000 for any activity they happen to be engaged in whenever law enforcement arrives. “This measure seeks to bring an end to overly permissive laws that, by allowing black people to simply hang around and do different stuff at will, places an undue burden on the police officers who want to arrest them and throw them in jail. While I believe this bill represents a good first step, we of course also need to enact legislation that outlaws anything Hispanics and Muslims might be doing at the moment.” At press time, sources confirmed House GOP leaders had called Capitol Police to report several African American representatives engaged in the suspicious activity of voting against the bill.